In today’s world we are bombarded with various advertisements throughout the day. These advertisements can be in the form of billboards, posters, internet ads, in-video ads flyers and whatnot. For businesses, in order to ensure the effectiveness of an advertisement it is important to consider a number of factors. A good advertisement strategy should result in increase in sales and improved brand awareness. Using vehicle wraps is an amazing way of advertising. These vehicle wraps represent a modern form of advertising done in the old days by painting the companies’ names on trains. Vehicle Wraps are made of large printed vinyl sheets that can last up to 7 years with proper maintenance. This sort of advertising can prove to be very effective as it has a lot of benefits. By designing an eye catching and striking wrap for your vehicle, you can be sure of attracting the attention of all the passers-by and vehicles on the road. Imagine yourself stuck in traffic when you see a vehicle covered in attractive and striking colors. You are sure to notice the vehicle and hence become aware of the message on the vehicle. The effectiveness of any advertisement significantly relies upon the brand awareness that it results in. Vehicle wraps are a great way of increasing brand awareness. Vehicle wraps are also effective when trying to market your product without interrupting a person’s routine. If you consider prints ads, radio ads or even television ads you will realize all of these advertisement types grab your attention by interrupting your experience. Vehicle wraps, on the other hand, do not cause such inconvenience. If you are waiting for your bus at the bus stop or are stuck in traffic, you might as well make yourself aware of your surroundings. In this way, vehicle wraps create grab attention in such a way that it does not disrupt the routine of a person. Vehicle wraps also come with a unique protection benefit for your car by avoiding scratches and dents. Having a vinyl vehicle wrap on your car is a kind of protection that keeps your car in an ideal condition. A vinyl vehicle wrap can be easily removed, bringing from underneath a scratch and dent-free exterior of the car. If you choose to advertise using vehicle wraps you also benefit from a comparatively cost effective advertising method. This is because; any other kind of advertising that reaches such a great number of people requires you to spend a lot of money. These include, billboard advertising or television advertising. Vehicle vinyl wrapping, although expensive in the beginning, lasts longer and has the same advantage of reaching a greater audience. Vehicle wrap advertising does not stop at any point to promote the business or the product even when you are not using the car and have it parked. One of the distinct advantages of this kind of advertising is the ability to advertise to attract passers-by even when the vehicle is standing in the parking lot. 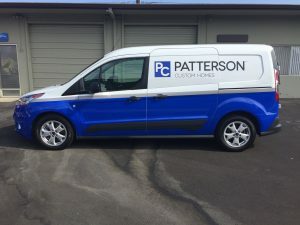 Choosing a vehicle wrap for the advertisement of your business can result in achieving benefits that you could never have achieved with other forms of advertising. If you are looking for a wide-scale, cost-effective mode of advertising, vinyl vehicle wrapping is the answer. To learn more about vehicle wraps, contact the Lucent Graphic Solutions team today. Your consultation with us is free.